A resilient city is prepared to absorb and recover from a shock or stress while maintaining its essential functions, structures, and identity, adapting and thriving in the face of continual change. Developing and implementing a resilience strategy is both crucial and challenging for cities — spanning issues of climate mitigation and adaptation, disaster risk reduction, food security, policy making, and ensuring ongoing flows of climate finance. Addressing these many components and more, two ICLEI USA member cities showed innovation in design to develop actionable, equitable resilience plans in 2016. Pittsburgh, PA, and Oakland, CA, model a multi-stakeholder approach to strategy development: Their final plans draw on community strengths from dozens of city partners, engaged during more than a year of workshops and working group meetings, to put forth innovative resiliency measures that can offer lessons for cities across the country. The City of Pittsburgh celebrates its 200th anniversary in 2016. 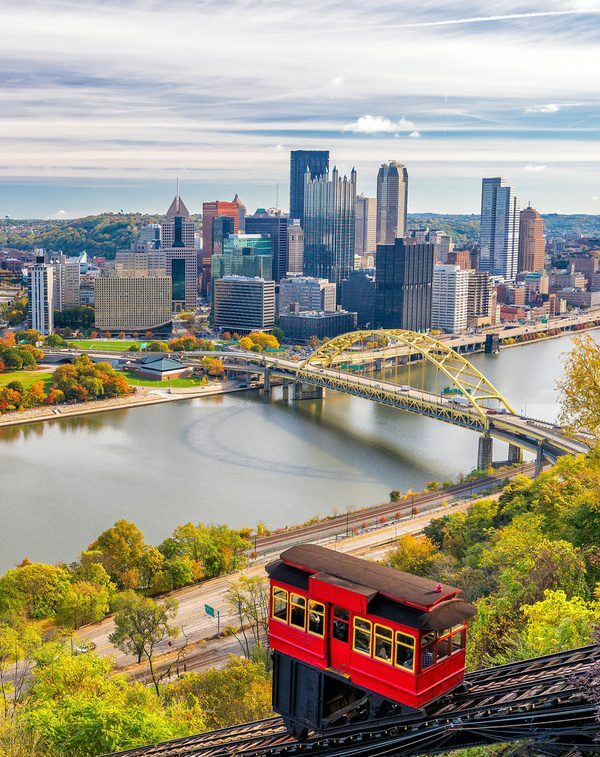 As the introduction to the its Preliminary Resilience Assessment attests, the City’s history of resilience demonstrates the grit and ingenuity of Pittsburghers to recover and rebuild after fires, floods, and financial failure. Today, the Steel City must still overcome certain challenges from its industrial legacy, and will face new pressures with climate change, urbanization, and globalization. The City’s first Resilience Strategy is being developed as part of its partnership with 100 Resilient Cities, an initiative of the Rockefeller Foundation. The strategy takes a holistic look at what resilience means for the city, asserting that Pittsburgh will be a resilient city when its entire community shares in the same opportunity and prosperity, and all residents are equally well cared for and well prepared to face potential risks. Climate resilience is a key component of the integrated strategy. Pittsburgh engaged with the Rockefeller Foundation in 2015 as part of the second cohort of 100 Resilient Cities. They began by holding a workshop with 150 city-wide invitees. This initial stakeholder meeting set the tone: What are the primary shocks and stresses the city faces and how can we tackle them together? The city decided to work with the Rand Corporation as a research and advisory partner. As the stakeholder-engagement process unfolded, other platform partners offered a range of activities: Microsoft hosted a tabletop exercise, Arcadis planned a charette, and R20 Regions of Climate Action plans to perform a waste audit. In addition, the City Hosted two Deliberative Democracy Forums, meetings that operate like town halls that use a framework developed by Carnegie Mellon’s Center for Deliberative Democracy: Participants are assigned to a table of about 7-10 people with a facilitator, and each person is given a chance to speak on city’s shocks and stresses as viewed from their agency’s or organization’s experience. In all, about 800 city leaders, NGO staff, and community groups were involved, and the preliminary document (linked above) came out of these seven stakeholder workshops. The strategy follows Pittsburgh’s “P4” guidelines: to ensure that decisions are made with people, planet, place and performance all considered. Pillars of the strategy center on fragmentation — determined to be one of the city’s major stresses — basic needs, addressing aging infrastructure, land use, and climate action. Pittsburgh’s resilience work continues, and the City will release a strategy document in January 2017. 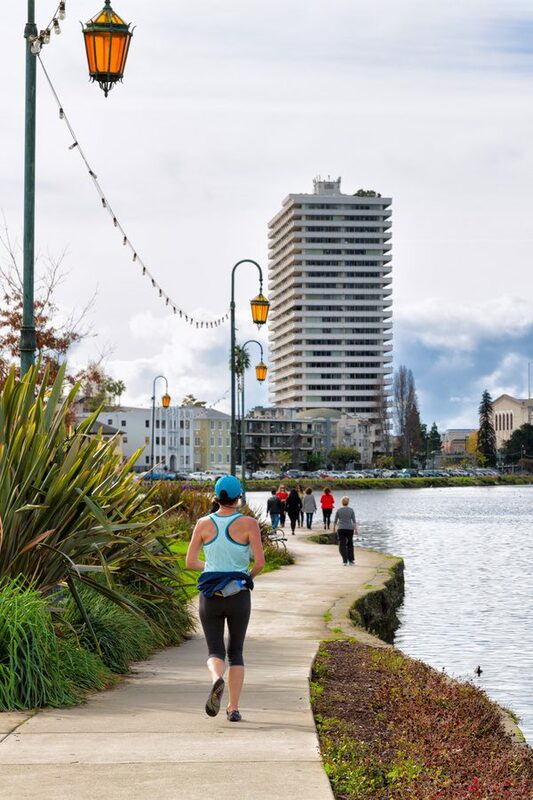 As a Bay Area city, Oakland sits in the middle of one of the world’s most prosperous regions. Yet, as the Resilient Oakland website explains, the benefits of the region’s booming economy are not equitably distributed. Low-income and communities of color face less job access, income and education inequality, and higher crime rates. Climate risks particularly threaten vulnerable Oakland residents that reside in housing that is aging and prone to seismic disturbance. For instance, a key action of Resilient Oakland playbook is to redesign the city’s Rent Adjustment Program website, the city’s primary mechanism for resolving rental disputes, to more effectively provide service, including contesting illegal rent, to mitigate displacement. The City is working in partnership with local groups through a series of workshops to make sure community engagement is not only included, but that its effectiveness can be measured. To reduce the impacts of its current and future climate shocks, Oakland plans to retrofit its city blocks using Ecoblock principles, strive for 100-percent renewable energy, implement its Preliminary Sea Level Rise Road Map, and target neighborhoods most in need for urban greening projects. In October, 2016, Mayor Libby Schaaf took the principles of Resilient Oakland with her to Quito, Ecuador, for the United Nations Conference on Housing and Sustainable Urban Development, known as Habitat III. The City of Oakland joined more than 120 local governments from the ICLEI network at Quito to ensure the needs and priorities of cities were front and center in the development of The New Urban Agenda..
Mayor Schaaf spoke on the City of Oakland’s efforts to build resilience into city planning at the conference’s Official Urban Dialogue on Ecology and Resilience and on Oakland’s climate actions at a Global Covenant of Mayors for Climate & Energy event. The City of Oakland has been an ICLEI member since 2007, using ICLEI USA’s ClearPath community greenhouse gas inventory tool and technical assistance during the past nine years. This long-standing partnership has garnered many more important benefits. In July 2016, the City of Oakland participated in the North American Dialogue towards 100% renewable energy and contributed to ICLEI’s low-carbon exchange between cities in California and China. ICLEI USA supports member cities’ adaptation and resiliency work through our Adaptation Program Offerings, which include technical assistance for vulnerability and scoping analyses and inclusive ****planning that ensure equity issues are considered. This entry was posted in CityTalk USA and tagged climate adaptation, oakland, Pittsburgh, Resilience, resiliency. Bookmark the permalink.